Amy Sherman-Palladino and Dan Palladino open up about the acclaimed Amazon series. If the first season of The Marvelous Mrs. Maisel was all about the personal and professional journies undertaken by Miriam “Midge” Maisel (Rachel Brosnahan), then Marvelous Mrs. Maisel season 2, which is now streaming on Amazon Prime, is all about how her actions affect everyone around her. Or, as actor Tony Shalhoub put it in a previous Metro interview, it’s all about the “ripple effects.” The creative team behind the series, Amy Sherman-Palladino and Dan Palladino, couldn’t agree more. “There's going to be many worlds and voices out there. It's not just a one-woman show,” says Sherman-Palladino, who also created the hit series Gilmore Girls. All of this should be a given, of course, as no matter how spectacular a show’s titular character is, it cannot survive without the character and stories that make up the rest of its episode count. The Marvelous Mrs. Maisel is no different. Yes, Midge’s efforts to try and balance her new life as a single mother and potential divorcé with her comedic aspirations makes for compelling television. (After all, the show won numerous awards for its first season.) But what about the struggles encountered (and created) by her estranged husband, Joel? Her mother Rose’s unhappiness with the state of her marriage? And her father, Abe’s sudden realization that his life isn’t pristine? 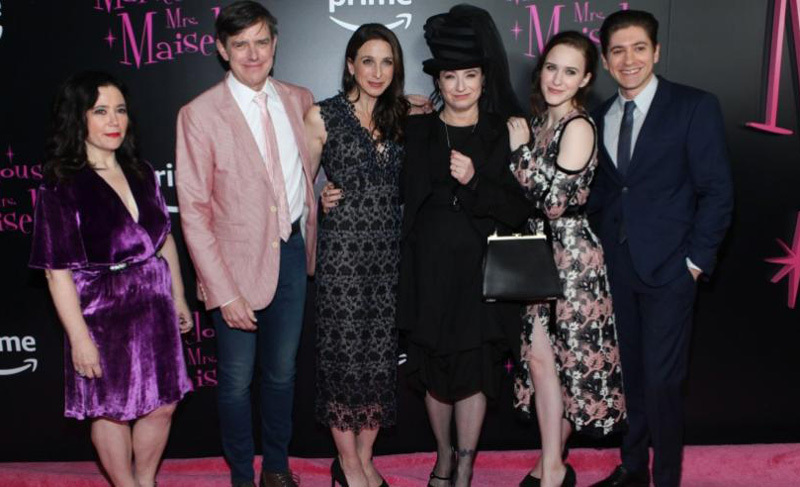 All of this makes for excellent comedic and dramatic television, given the right combination of producers, writers and performers, and the husband-and-wife team behind The Marvelous Mrs. Maisel has managed to pull it off without a hitch. The Marvelous Mrs. Maisel season 2 is now streaming on Amazon Prime.